NOTHING LOOKS AS GOOD AS STRONG FEELS. We help athletes of all ages prevent and recover from injuries in a way that maximizes strength, flexibility, and overall wellness. Our pediatric physicians help your baby feel better, so every night can be more like this. GET BACK ON THE ROAD SOONER. Have you recently been in an auto accident? Let the caring staff at Loehr Chiropractic and Acupuncture help you start on the road to recovery. GIVE YOUR SHOES AND YOUR BACK A BREAK. Your footloose and fancy free ‘Me’ time awaits you. Our chiropractic techniques provide symptom relief and overall wellness benefits. From ultrasound therapy to Kinesio taping, we have the tools to help you feel better. Our holistic approach to chiropractic care helps you recover from injuries. Plus, it will keep your body healthy – naturally! We won’t just adjust your back and say goodbye. Our exclusive chiropractic treatment process empowers you to live naturally every day! Loehr Chiropractic & Acupuncture is a community of passionate professionals helping patients achieve their wellness goals. Our team of chiropractors in Springfield, Missouri, provides a laid-back and warm atmosphere to help treat and teach the entire chiropractic wellness spectrum. At Loehr Chiropractic & Acupuncture, our dedicated team of healthcare professionals can help you achieve and maintain good health. Through chiropractic care and rehabilitation, we can assist in your recovery from painful injuries. We can also alleviate common health problems with natural solutions and innovative treatments at our chiropractic practice. At our clinics in Springfield and Weaubleau, Missouri, our team is proud to offer a wide range of holistic wellness services. Our doctors combine chiropractic skills with post-doctoral specialties to help your family live natural, healthful lives. Whether you crave relief from pregnancy back pain, need help with whiplash, suffered an injury at work, or wish to try acupuncture for increased fertility, we can help. Our team embraces a four-step process for patient care – feel, learn, do, and support – to create a holistic action plan. Every patient’s care is evaluated on a case-by-case basis, and we refer patients to a medical doctor when necessary. We seek to help our patients discover a different approach to health, based on the philosophy of our founder Dr. Steven Loehr. Since March 2014, Dr. Loehr and his team of like-minded healthcare professionals have helped families take their first step toward better health by treating problems at their source – not just eliminating symptoms. All of our team members uphold the mission of our organization, because we don’t view helping others as simply a job; it is how we desire to live our lives. At our holistic, chiropractic clinics, we combine a warm, family-style environment with quality medical health care. We welcome and treat a variety of patients, including pregnant women, athletes, young children, and even newborns! With our two convenient locations in southwest Missouri, we can easily assist individuals and those looking for, “chiropractors near me” including neighboring communities and states, such as Kansas, Oklahoma, and Arkansas. 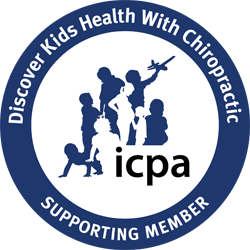 To learn more about our chiropractors, services, and treatment options, please give us a call or click here to schedule an appointment.